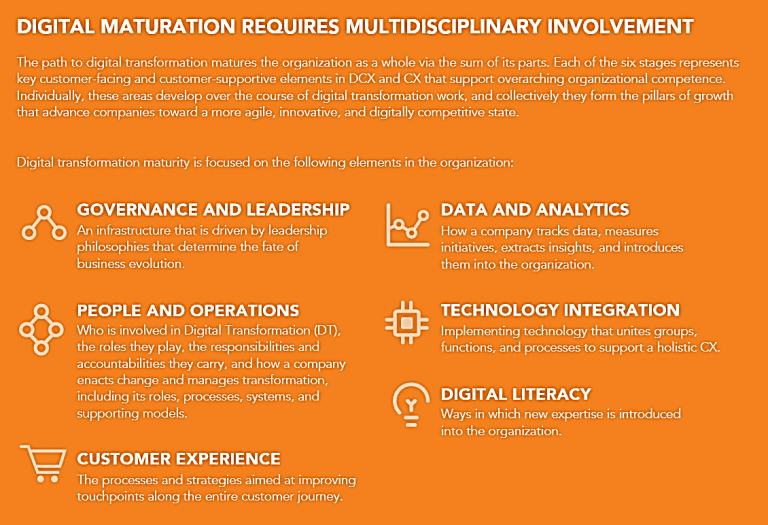 Are you fit for the digital transformation? Digital transformation is becoming more important when it comes to changing business processes. Many companies have already done so or are considering to make that move. Everything has to do with efficiency and effectiveness. But one should remember that customer experience is key in maintaining a relationship between you and your customer. Just digitizing your company processes is not enough. Next to this, there are other areas in your organisation that are influencing the success of a digital change of processes. 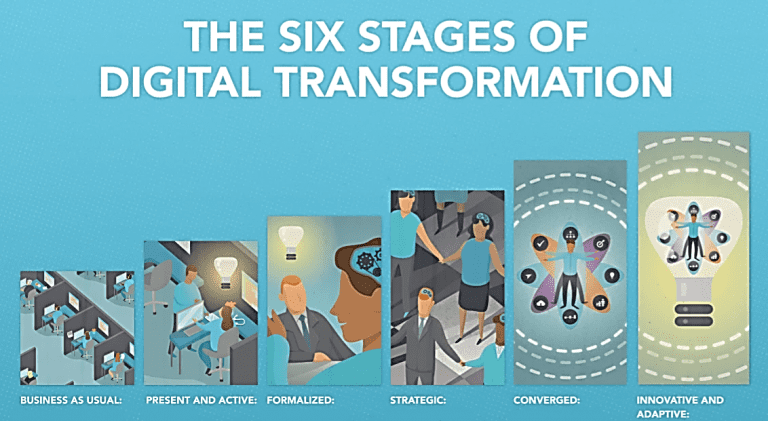 How are you making sure that your company is ready for this digital transformation? Are you also looking at the people and their skills or at the goals that you want to achieve and how you can measure it? When is it successful and are your management levels all aware of this change? 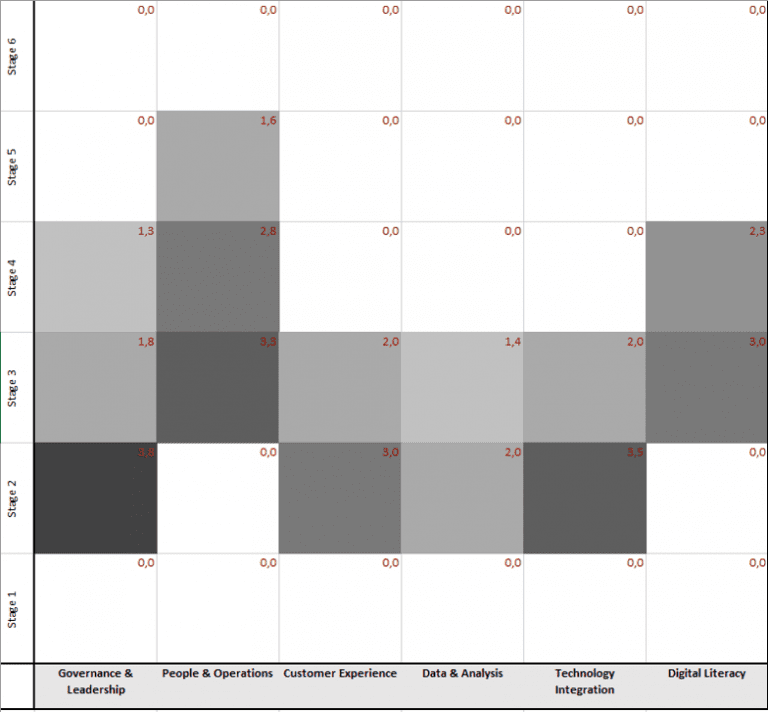 A good way of making sure that the prerequisites and expectations are clear is starting with a digital maturity scan, the organisation fit. You want to make a snapshot of your current organisation. This is one of the scans that we are doing as part of our Discover – Adoption phase. Next to finding out why you are doing this (Strategy) and sessions to generate new ideas that are representing the needs of your customers and your employees (User needs). In earlier blogs this is already introduced. Before any software implementation project is started, we would like to set the basics right. We would like to make sure you are ready for a digital change. We are going to determine at what level you are operating by asking the right questions to different stakeholders in your company. This gives a clear picture that can be further discussed to create the correct actions in order to take away any possible hurdles. It is not the trick to be at the highest level on all domains (or on 1 domain), but merely to be in line for the level of maturity on the different domains. Often these different expectations causing a lack of adoption of new software tooling and this is exactly what you would like to prevent (see also my earlier blog on this topic). The tooling might be perfectly implemented, according to budget, time and even to requirements, but is it really matching the needs and strategy of the company? Do you know when it is really successful and can all employees work with it? Are you interested to hear more about this?